One of this highlights of this season's Adidas Originals womens collection, the Falcon is a fashion forward shoe that pays homage to 90's running styles. 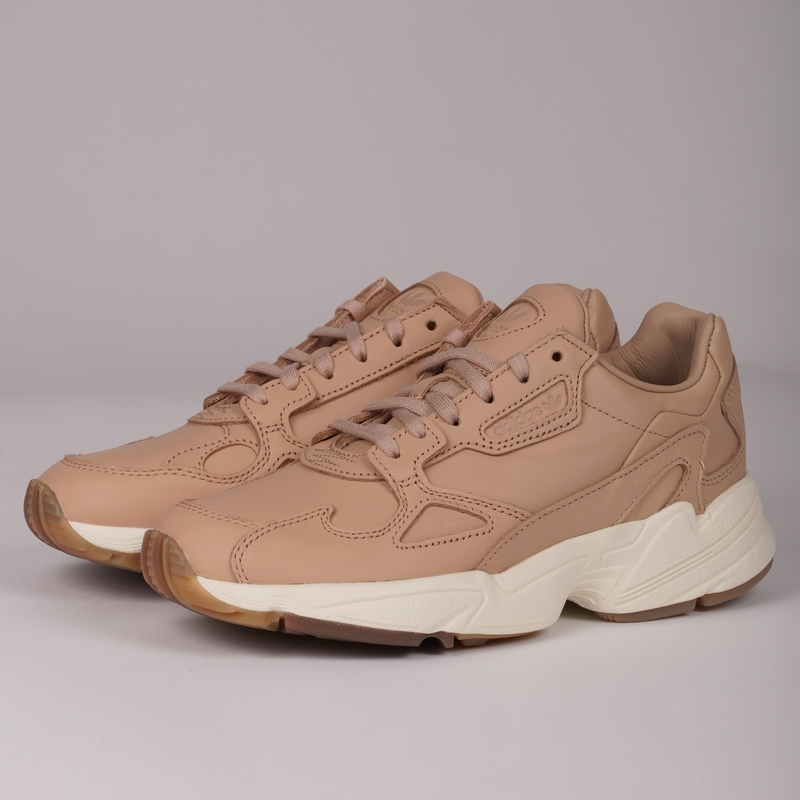 Lightweight and durable this iteration features a season ready leather upper that is contrasted with a tonal Off White lightwight EVA midsole for good measure. Wearable as part of an office or everyday outfit the Falcon is completed with lace up fastening, Trefoil branding to the heel and tongue and Adidas window branding to the lateral sidewall. Orders placed on working days before 3PM GMT will be dispatched the same day. Orders placed after 3PM GMT or on weekends will be dispatched the following working day. We have recently improved our delivery services for our international customers by partnering with Global-E. For delivery rates to your country please click Here.